Brisk first-half exports trigger bright yearly forecast in Taiwan's machine-tool makers. 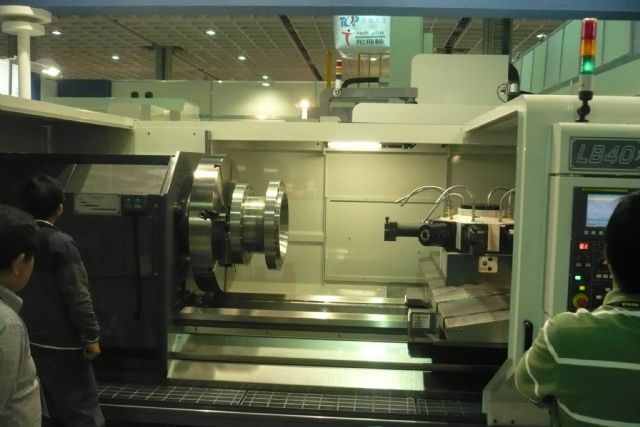 In June, Taiwan shipped US$352 million of machine tools, up 13.3% year on year to help boost Taiwan's H1 exports by 4.9% YoY to US$1.8 billion or so, according to the Taiwan Association of Machinery Industry (TAMI). TAMI President J.C. Wang pointed out that the June figure shows the island's machine-tool exports returning to the peak of 2012, attributing such performance mostly to the 16.1%, 8%, 42%, 23%, 60%, 65%, 35%, and 29% YoY growths in exports to China, America, Germany, Holland, Russia, Italy, Japan, and Brazil, respectively. Based on the strong H1 exports, industry executives project the island's machine-tool industry to see exports increase 8-10% to US$3.9-4 billion for 2014. Most machine-tool makers in Taiwan expect to be busy delivering orders throughout the final quarter. Secretary general of the Taiwan Machine Tool & Accessory Builders' Association (TMBA), J.C. Wang, remains upbeat about the outlook of the machine tool market in spite of the recent Portugese financial crisis.